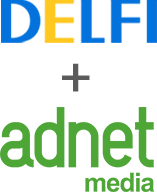 ADNET MEDIA is the largest online advertising network in the Baltic States, offering a combination of the most-visited and most popular websites that can promote your service or product. In Lithuania, we reach about 90% of real Internet users browsing on both computers and mobile phones. 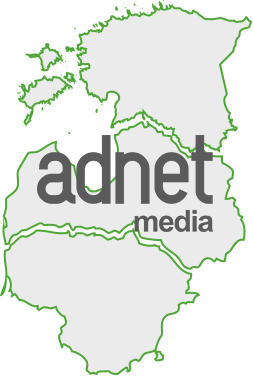 The ADNET MEDIA advertising network in Latvia has successfully followed our example, now reaching 85% of real Internet users each month (and 65% in Estonia). With sixteen years of experience, we offer the opportunity to purchase based on these prising models: banner impressions (CPM) or clicks (CPC). We also provide the capability to target specific audiences: men, women, youth, Vilnius residents, people who live abroad, and so on. The project managers at ADNET MEDIA will help each customer find the most efficient advertising channel for them, refine their advertising messages, and create a content marketing project together with advertising materials for the campaign if needed. Meanwhile, our campaign coordinators will ensure that the ad campaign is successful at all stages, as the results are constantly evaluated and analysed and the campaign’s other indicators are optimized. For each advertising campaign, websites are selected carefully according to their context and audience. Ads are displayed while limiting the number of impressions for any given individual user, thereby ensuring optimal impact for each ad and avoiding the overlap of users on separate websites. The campaign is optimized using indicators on each site participating in its distribution, and the displays are distributed wherever the ads receive the best user responses.